Havasu Falls and the Havasu Indian Tribe (also referred to as the “Havasupai Tribe”) are two very important elements to the National Grand Canyon. 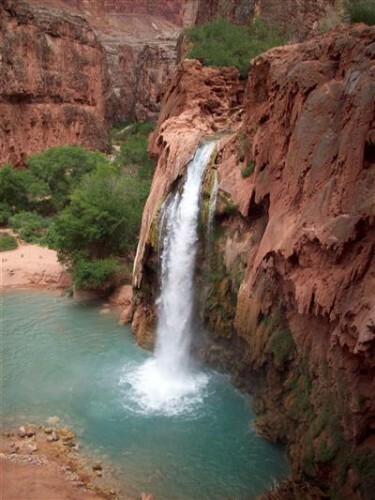 These two Grand Canyon attractions are located at Supai Village, which is located at the Havasu Canyon. This is an immense tributary that is located on the south region of the Colorado River and is administered by the tribe, itself. While the land actually lies just outside of the boundary and the legal jurisdiction of the National Grand Canyon, it is still considered to be part of the park. Havasu Creek runs through the tributary. The water that is part of this creek flows out of and through limestone. As a result, it provides the water with a beautiful hue of blue and green. Stemming from Havasu Creek are a number of breathtaking and highly photogenic waterfalls. If you have an appreciation for history, culture, and nature, you should ensure that you take the time to visit the Havasu Falls and the other lands that belong to the Havasu Indian Tribe while visiting the National Grand Canyon. Who are the Havasupai People? The Havasu Tribe or Havasupai people are an American-based Indian tribe that has lived within the National Grand Canyon for approximately 800 years or more. “Havasupai” translates into “Havasu”, which means “blue-green water”, and “Pai” which means, “people” – “Blue-green water people”. While the Havasu Tribe is now considered to be one of the most appealing of all the Grand Canyon attractions, the people had to fight diligently to obtain the land that they possess. Originally, the tribe had the land equivalency to the size of the State of Delaware. Unfortunately, they were forced out of the land, and then, they were given just over 500 acres. In the year 1919, the National Grand Canyon was incepted as a National Park. This resulted in even more of their land being taken. When the Grand Canyon National Park Enlargement Act went into effect, the tribe was provided with about 185,000 acres of the land that their ancestors had once lived on. Because of the limitations of their living arrangements and the complications associated with surviving, the Havasu Tribe has recently turned to attracting tourists as a means of increasing their financial stability. Today, thousands of people each year visit the Havasu falls and surrounding lands to catch a glimpse of the natural habitat of the tribe, and the tribe people themselves. 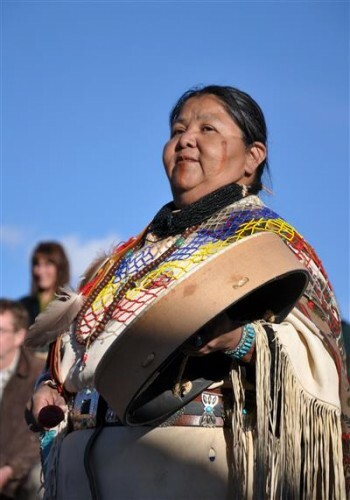 The Havasupai Tribe is known for their entrepreneurial spirit. As a matter of fact, today, most of the revenue that the tribe generates stems from tourism. On average, about 20,000 different guests visit the town where the tribe resides. Not only does the tribe charge visitors for simply visiting their land, they also give the guests two options – to rent out a room at a lodge within the town, or to rent a space at the local campground. This, in turn, increases the amount of money that they are able to make. The Supai village is not accessible by a standard road. In fact, in order to get there, you will find that it takes four hours from the South Rim of the National Grand Canyon in drive time. You must drive to the west from Williams to I-40. That is heading towards Seligman. Then, you must turn at U.S 66. Once you see Indian Highway 18, turn. You will then come to your destination. If you will visit the National Grand Canyon, plan a stop to see the Havasu Falls and Havasu Indian Tribe. You will be happy that you took the time to visit these two Grand Canyon attractions.